2018 is looking great for PlayStation and the players. As time is passing by people are waiting to hear about the Insomniac Games’ upcoming Spider-Man. Until now the details have been scarce but that seems to be ending soon because recently GameInformer announced that their story for the May 2018 issue of the magazine is all about Spider-Man. Along with great news, the company released a trailer for an exclusive story in it giving us a glimpse of in-game footage with Spidey in action. In the video, above we got a fresh look on the Peter Parker/Spiderman in combat, traveling across the city by swinging from building to building (including trees) with cool camera angles to give Spidey that fast momentum meanwhile taking enemies down and running across the side of the buildings. It’s a quick look at the game but enough to excite gamers about the new Spider-Man. According to Game Informer their cover story about the game will feature a lot of details about the new game, missions, side activities, collectibles and mainly will include the release date which they have teased. So this is going to be an exciting month full of news about the Spider-Man. 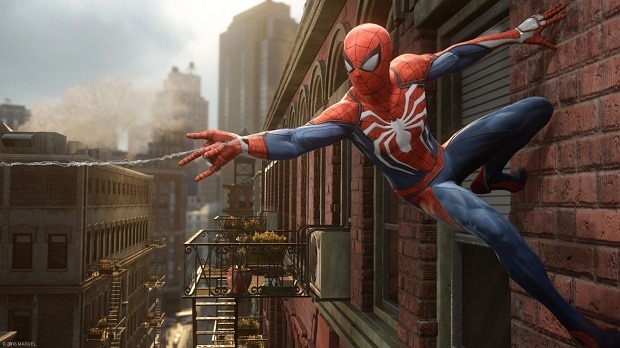 The footage shows the developers talking briefly about the game, They talk about how you will take control of a more experienced Spider-Man who’ll be swinging around the Manhattan fast and with confident dealing with everything on its way. They told how easily The Spider-Man will be using webs, swinging around and perform in close combat by switching fast. The developers have used speed, style, and fluidity to describe their aims for the Spider-Man. Insomniac announced the game back in 2016 at E3 and confirmed that this game is a standalone experience not linked to any of the movies. According to Insomniac, the open world of the game will be much bigger than ever it was in the previous games. As for the release date, it will be announced soon today on the Game Informers’ Magazine cover of the month. So grab one as soon as possible, the digital version will be available around 5-6pm today. Stay tuned we will be covering the details soon as they get revealed.